October 16 is World Food Day, an annual day of action to raise awareness about the problem of global hunger. It’s also a particularly good day to reflect on the problem of food waste. Over 800 million people – one in nine worldwide – live with chronic hunger. Yet in the midst of global starvation, huge amounts of food are being discarded by retailers and consumers. Some 40% of all the food produced in the United States is never eaten. In Europe, 100 million tonnes of food is thrown away every year. The UK produces 15 million tonnes of food waste every year, more than any other European country. Apart from the ethical concerns, food waste has significant economic and environmental impacts. Some of these are clear to see, while others are hidden costs. In 2007 the Waste and Resources Action Programme (WRAP) estimated that wasted food costs each UK household between £250 and £400 a year. This doesn’t include council tax payments contributing to the cost of local authorities’ disposal of food waste, much of which goes to landfill sites, where it generates methane and other greenhouse gases. Scarce resources are being used in the production of food that will never be consumed. Every product has its own “water footprint” – the amount of water consumed in its production. In 2011, research by WRAP found that the water footprint of food waste was 6,200 million cubic metres per year. Addressing the problem of food waste is clearly a colossal challenge. But that’s no reason to give up. Since 2007, WRAP, the registered charity that works with businesses, individuals and communities to help reduce waste, has been running a highly successful Love Food Hate Waste campaign in partnership with retailers, food manufacturers, local government and community groups. Between 2007 and 2012, the campaign helped reduce avoidable food waste by 21%. That’s more than one million tonnes of food saved from landfill (or enough to fill 23 million wheelie bins). The campaign is also estimated to have saved consumers £3.3 billion a year and councils around £85 million. Individual local authorities are also doing their bit to reduce the amount of public money used to dispose of food waste as rubbish. Councils in areas such as Cardiff, West Lothian and Oxford have been providing separate food waste caddies for collection. The food can then be recycled either by composting for fertilisers, or by anaerobic digestion for conversion to biogas to generate electricity, heat or transport fuels. Some local authorities, such as Central Bedfordshire are also encouraging home composting by providing householders with subsidised composting bins for kitchen and garden waste. 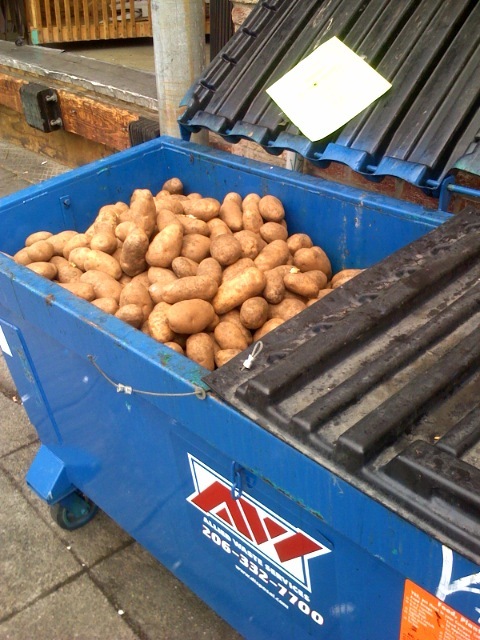 While the bulk of food wasted annually in the UK comes from households, supermarkets also generate substantial amounts. In 2013, the British Retail Consortium estimated that seven supermarket chains were responsible for 200,000 tonnes of food wastage. In response, some of the UK’s leading supermarkets such as Sainsbury’s, the Co-op, and Tesco have been working with the FareShare charity to rescue thousands of tonnes of food from landfill for redistribution to vulnerable people across the UK in homeless shelters, women’s refuges and children’s breakfast clubs. At the moment, these are voluntary schemes, but an initiative by a local councillor in France might ultimately lead to legislation compelling supermarkets across Europe to donate unwanted food to charity. Earlier this year, Arash Derambarsh persuaded the French parliament to pass a law barring supermarkets from destroying food approaching its best-before date. He is now lobbying the European parliament to follow suit by including an amendment in its new “circular economy” directive. Consumers also have a role to play, for example by choosing misshapen fruit and vegetables that would be otherwise be destined for the bin, buying just the things we need, and understanding the difference between “best before” and “use by” dates. Good work has been carried out in raising awareness of, and addressing, food waste. However, given the colossal scale of the problem, further progress will depend on concerted actions by governments, food suppliers, retailers and consumers. The Idox Information Service can give you access to a wealth of further information on waste management; to find out more on how to become a member, contact us. Plastic carrier bags have been part of Britain’s retail landscape since their introduction by supermarkets in the 1970s. Dispensed freely and liberally, the bags were originally made of polythene before evolving to the high density polyethylene (HDPE) bags most commonly in use today. For decades, the plastics industry has been fighting off environmental campaigners’ claims that single-use bags are damaging to the environment and create a significant litter problem. But there have been increasing signs that the carrier bag’s days are numbered. In 2014, California became the first US state to prohibit stores from providing single-use plastic bags – subject to a 2016 referendum. Next month, charges for carrier bags are being introduced in England. The 5p charge will come into force on 5 October, bringing England into line with the rest of the United Kingdom. Wales was the first part of the UK to introduce charges for carrier bags, in 2011. The charge is part of the Welsh Government’s strategy to minimise the proportion of waste going to landfill to 5% by 2025, and eliminating it altogether by 2050. An evaluation of the impacts of the charge on behaviour and attitudes of consumers found that it had helped to increase own bag use in Wales (from 61% to 82%) and was supported by a majority of the Welsh population. However, no evidence was found that the carrier bag charge led to behavioural spill-over to other waste-related behaviours. The levy on single-use carrier bags was introduced in Northern Ireland in 2013. The charge has been a success story, with a 42.6% annual reduction in 2014 following a previous drop of 71%, after the carrier bag charge was introduced. In 2013/14, £3.4m of the proceeds from the levy were spent on more than 250 projects delivered by the Northern Ireland Environment Link (NIEL) Challenge Fund, Natural Heritage grants, Sustainability Innovation Fund and Local Clean-Up Support projects. The Single Use Carrier Bags Charge (Scotland) Regulations came into force in October 2014. 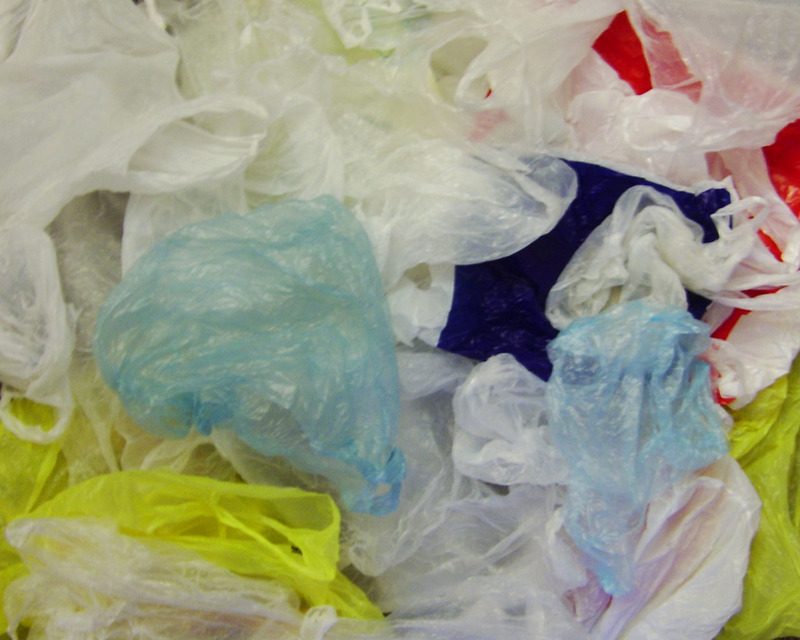 Before that, Scotland used more than 800 million new single-use carrier bags every year – the highest usage in the UK. Figures published this summer, however, showed that the number of plastic bags provided by supermarkets in Scotland fell by 147 million last year, despite the charge only being in place for the last 11 weeks of 2014. Scotland’s environment minister, Richard Lochhead, hailed the results as “astounding”, and said the charge was driving behaviour change to tackle litter and reduce waste. Time will tell whether this impressive start can be maintained. After an initial fall in carrier bag usage during the first year of charging in 2011-12, Wales saw a 5.2% increase in usage during 2014. From October, large shops in England will be required to charge 5p for all single-use plastic carrier bags. In 2013, the number of single-use bags from English supermarkets rose from 7.4 billion to just over 7.6 billion. It’s hoped that the forthcoming charge will be instrumental in cutting carbon emissions, and reducing litter. However, the House of Commons Environmental Audit Committee (EAC) has described the English regulations as “a complete mess” The MPs are especially unhappy at the exemptions for smaller retailers, and exclusion of biodegradable bags. Only retailers with 250 or more full-time employees will have to levy the 5p charge for carrier bags, but trade bodies for smaller retailers say their members want to participate and claim that the exemption will distort competition and cause confusion. The EAC believes that leaving biodegradable bags out of the scheme could harm the environment by causing litter and damage to wildlife. The Idox Information Service can give you access to a wealth of further information on the environment and waste management; to find out more on how to become a member, contact us.